Our staff is dedicated to the finest, most effective treatment for our patients. Drs. Dunne, Cates and Poindexter have set a standard of excellence in training and in caring. They have selected only the highest quality staff to work with them. Our practice continues to grow primarily through the good word of our patients. It is through our dedication to the newest equipment and techniques, combined with gentle care and old fashioned concern that makes our treatment so effective. We take personal interest in every patient. We get to know you, not just your problem. At Dunne Chiropractic & Rehab Center, results matter. That means relieving your pain and keeping it away. Patients tell us all the time how much better they feel and how much more energy they have, thanks to our special care. They can sit, stand, walk and bend without pain. They say they like how we take the time to listen and take the hassle out of insurance billing. We look for not only the fastest, but the most permanent way to relieve pain -- so life is a joy once more. Your back pain will vanish, the headaches will stop...you can go back to work in full entry. 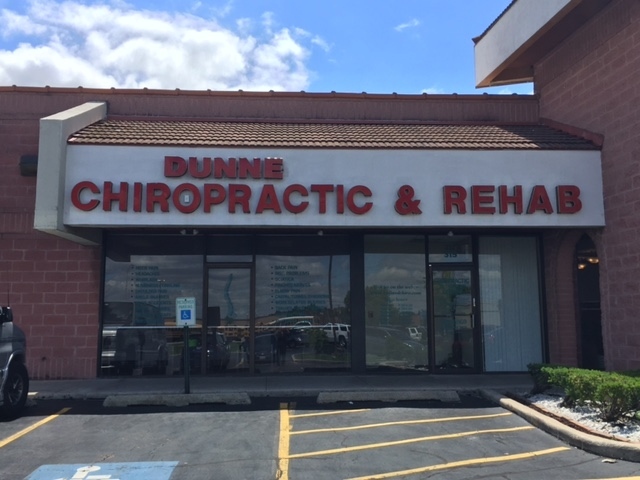 These are the kinds of results you can look forward to at Dunne Chiropractic & Rehab Center. We are pleased to welcome Dr. Zachary Serven to the Dunne Chiropractic family. Dr. Serven is looking forward to providing comprehensive chiropractic care to our community. To schedule an appointment with Dr. Serven, please call 630-968-6969. Dr. Zachary Serven graduated from the University of Findlay (Findlay, OH) in December 2013 with a Bachelor of Science Degree. He majored in Biology and minored in Chemistry. Dr. Serven then went on to graduate as Valedictorian from National University of Health Sciences (formally known as National College of Chiropractic, Lombard, IL) with a Doctorate of Chiropractic in August of 2017. Dr. Serven is National Board of Chiropractic Certified since July of 2017 in Parts I, II, III, IV and Physical Therapy. Dr. Serven is certified in Flexion Distraction (Part 1), RockTape and RockBlade Technique. Dr. Serven is a second-generation chiropractor and has always had a passion for chiropractic care, not only from growing up around it, but also through his own personal experience as an athlete. Dr. Serven utilized chiropractic care throughout his 15-year soccer career, keeping him healthy, and keeping his injury time to a minimum. Dr. Serven approaches each patient individually and believes in a whole body approach, focusing not just on pain itself, but why the pain is occurring. This philosophy comes from both blending the chiropractic model and western medicine approaches and from personal experience with helping his wife battle fibromyalgia naturally. Using this method not only helps patients get out of pain, but also helps to find and correct what caused the pain. Dr. Serven’s interests outside of the office include soccer, rock climbing, watching movies, reading, and spending time with his loving wife, blue heeler/border collie, Bleu, and his orange tabby, Simon. 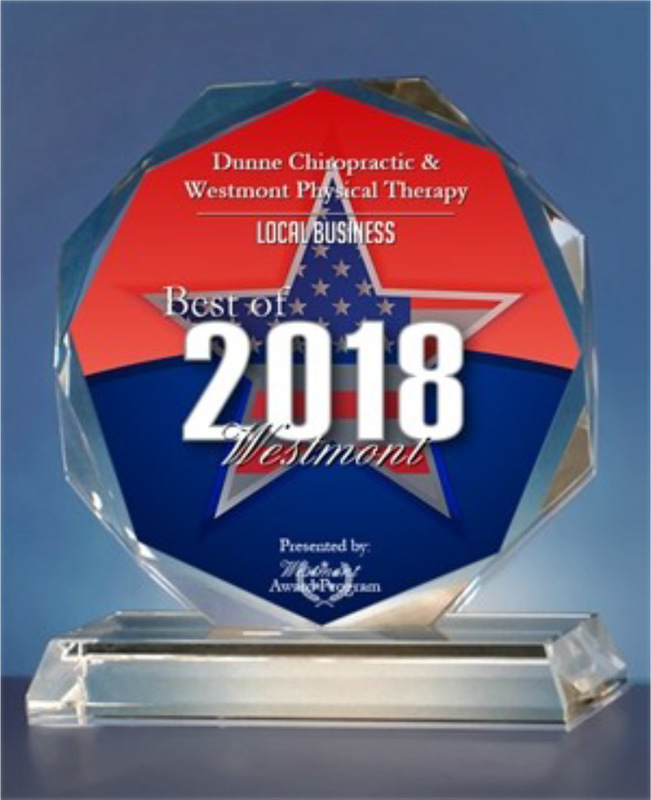 WESTMONT October 30, 2018 -- Dunne Chiropractic & Westmont Physical Therapy has been selected for the 2018 Best of Westmont Award in the Local Business category by the Westmont Award Program. Various sources of information were gathered and analyzed to choose the winners in each category. The 2018 Westmont Award Program focuses on quality, not quantity. Winners are determined based on the information gathered both internally by the Westmont Award Program and data provided by third parties. 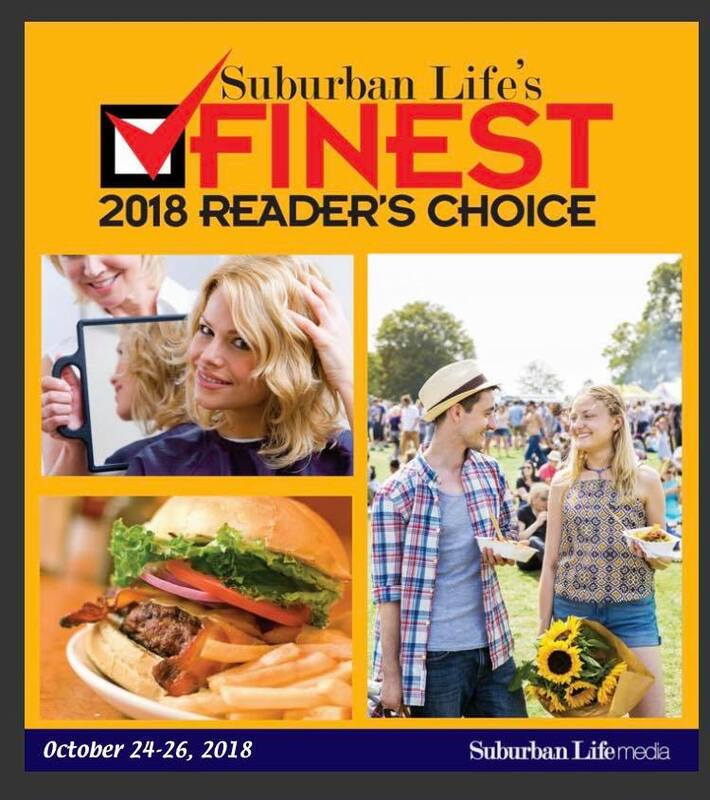 The Westmont Award Program is an annual awards program honoring the achievements and accomplishments of local businesses throughout the Westmont area. Recognition is given to those companies that have shown the ability to use their best practices and implemented programs to generate competitive advantages and long-term value. 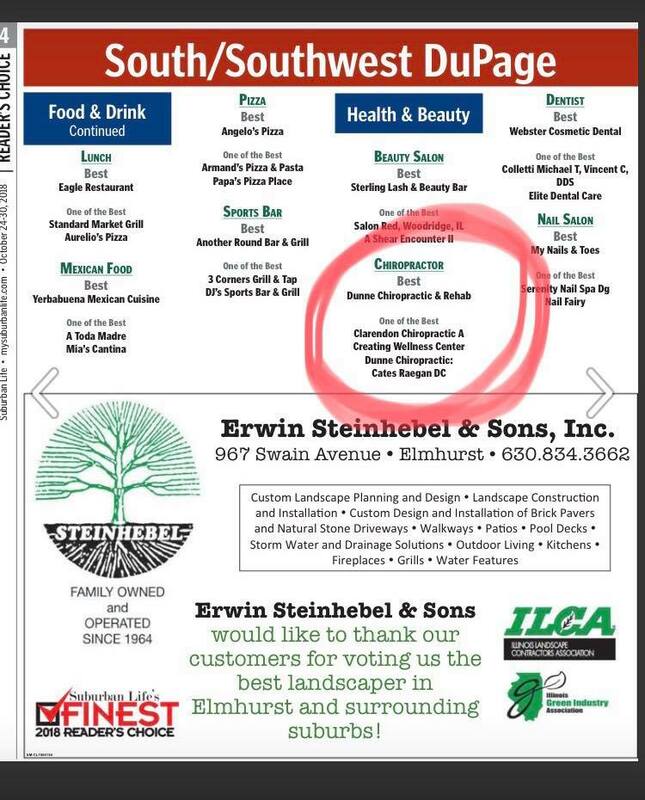 The Westmont Award Program was established to recognize the best of local businesses in our community. Our organization works exclusively with local business owners, trade groups, professional associations and other business advertising and marketing groups. Our mission is to recognize the small business community's contributions to the U.S. economy.